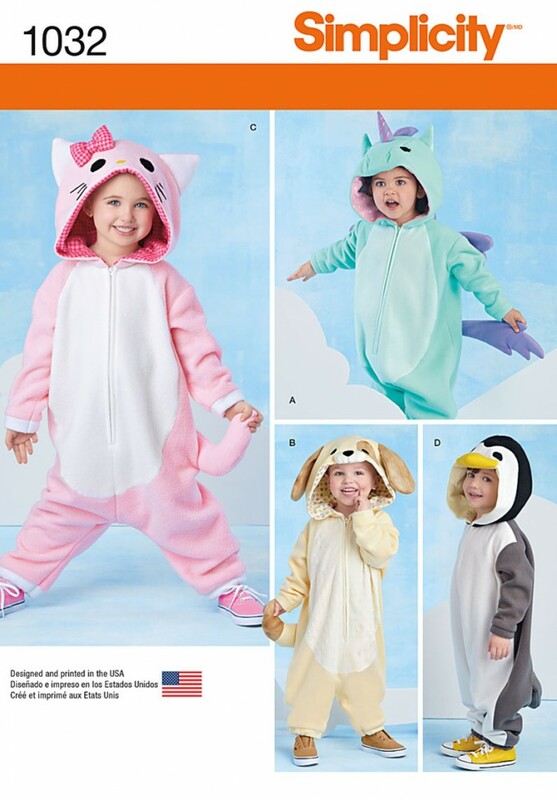 These fleecy animal costumes will keep your toddler warm and happy this Halloween. 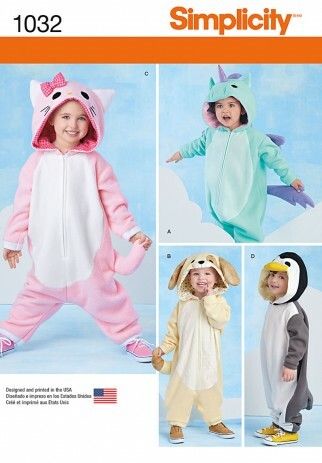 Pattern includes unicorn with wings, dog, cat and penguin. Andrea Schewe Designs for Simplicity.